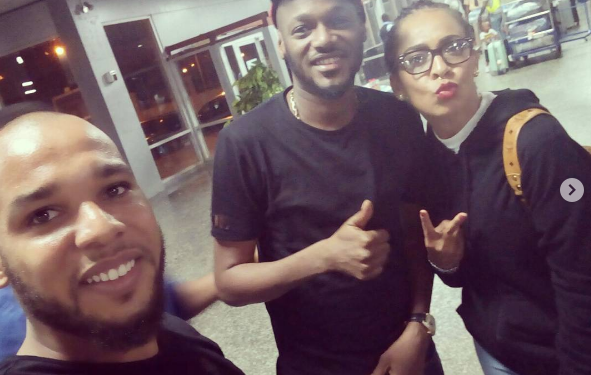 It’s no news that Nigerian singer Tunde Ednut isn’t a big fan of the ex BBNaija housemate, TBoss. 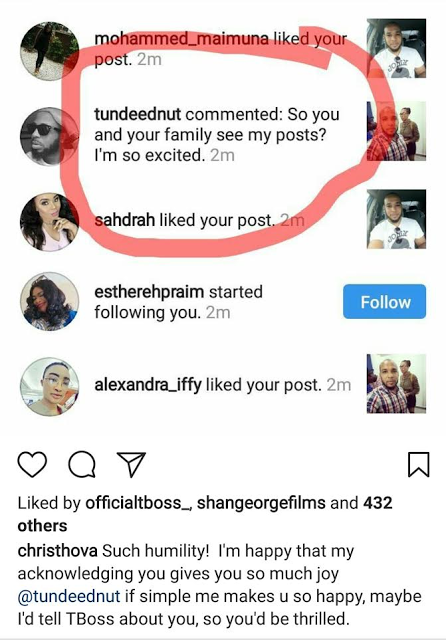 This could be openly felt via his serial comment on the TV reality show and TBoss while it lasted. 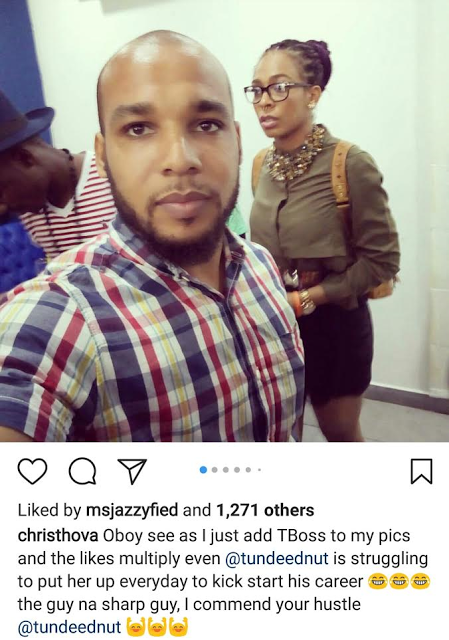 However now, Chris, brother to the boss lady finallyhas recently taken to IG to shade the singer, saying he is using his sister’s popular name as a plot to kick-start his career.